The population continues to age at a rapid pace. In the coming years, home health care will become a major part of many people’s lives. The definition may seem obvious to most people but there are distinctions which should be noted. 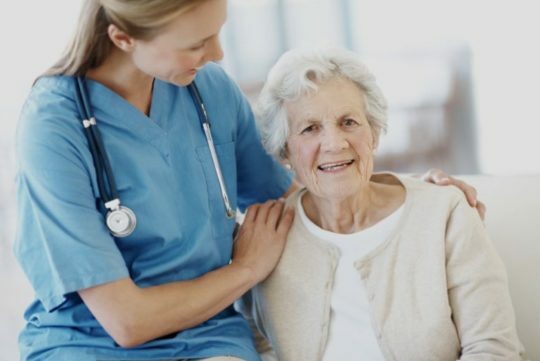 If you have an elderly parent or loved one and you know that they will soon need special care at home, you need to be aware of the distinctions between home health care and home care. The former is medical care provided to an individual at home. The care is given by a registered nurse, a physical or occupational therapist or another medical expert. It is special care prescribed for a person after a person spends time in a hospital or a rehab facility. Home care is different. It is care provided by people who are not medical professionals. It may involve companionship for seniors or it may involve light medical care by a certified nursing assistant. Only CNAs can assist with overseeing the person’s medications and things like taking blood pressure. Otherwise, this care is limited to things like helping a person bathe, prepare meals, run errands or perform activities that they enjoy. Home health care services are done to help a person transition from going from hospitalization to home. They may also be coming from a skilled nursing facility after being treated for a fracture or other injury. This service can be paid by insurance or through Medicare. If the care is not prescribed, it is likely that it will need to be paid out of pocket by the patient or his or her family. A senior may wish to have home care by a medical professional as an adjunct to their medical care. If they opt for it, they will also need to pay for the services on their own. Home care is provided by caregivers who are also known as home care aides or HCAs. They are trained to understand the basics of senior care. They know how to mitigate fall risks or other hazards in the home. They cannot administer medications or take a person’s blood pressure. These are tasks that only a CAN or RN can do. However, they can be extremely helpful in everyday activities for people who have limited mobility or who have become impaired either by a physical problem or a cognitive one. Home care is considered non-clinical while the other type of care is considered to be clinical.